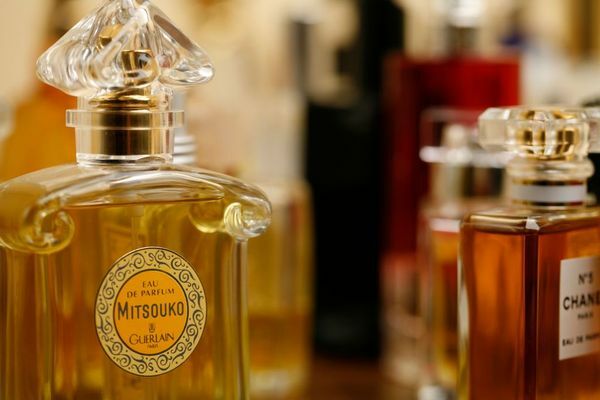 Bertrand Duchaufour is one of the world’s most well known and prolific perfumers. 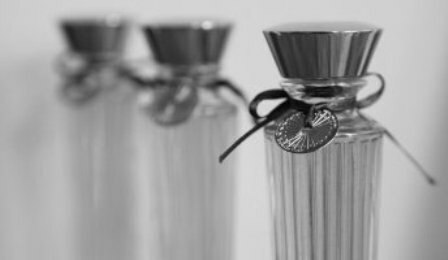 Who better to lead this sniff-along guide to his work than perfume specialist Nick Gilbert. 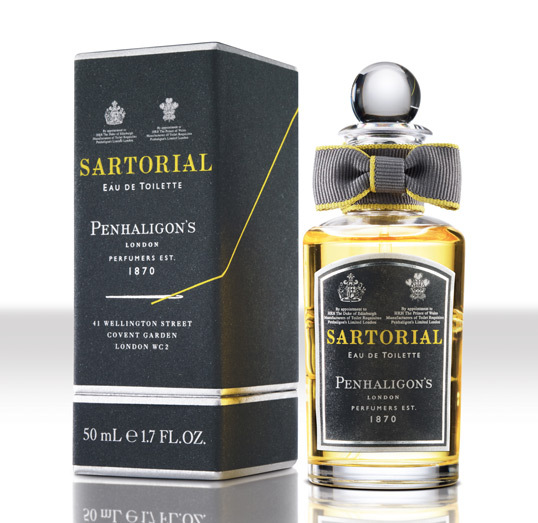 Not only does he have great knowledge of Duchaufour’s work but he also knows him in a professional capacity through his position as Penhaligon’s Fragrance Ambassador. As always, the evening was hosted by Lila das Gupta. Here is an abbreviated version of the evening. Nick: I’ve been lucky to spend time with Bertrand in his lab, so of course the first question I asked him was “What is the perfume you think is your masterpiece?” He answered “Nuit de Tubereuse”. 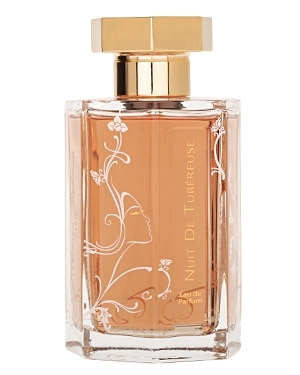 Nuit de Tubereuse is not a syrupy or hot white floral. There’s strangely dark incense, a slight amount of coconut and fleshy mango. Ripe luminous notes against dark incense. Lila: This is the only tuberose perfume I adore. You get all that night air along with the florals. It’s slightly green as well. I only wear it in the summer. Edmond Roudnitska said to Mona di Orio that to understand tuberose she had to experience it at night. So Mona slept with a tuberose plant in her room. She woke up during the night and thought there was someone with her but it was the tuberose! Lila: This is “Early Bertie”, an example of Bertrand’s early work. Nick: S.T. Dupont are a pen and lighter company and Signature came out in 2008. 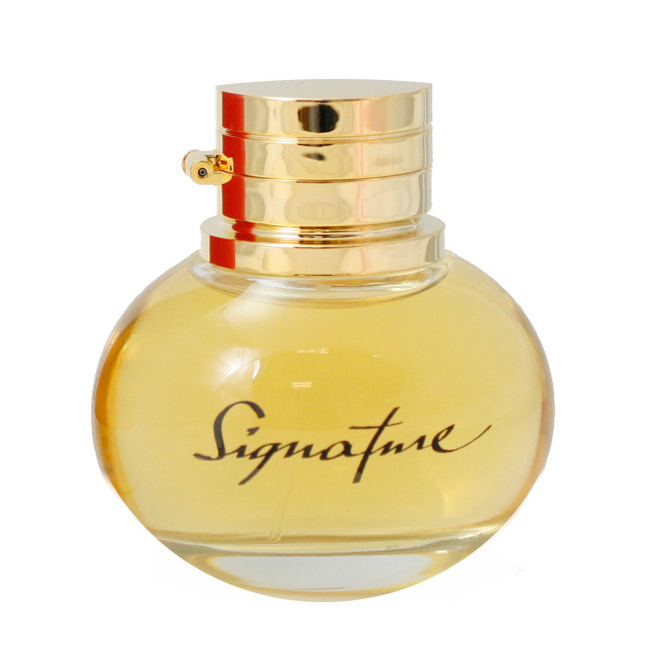 Signature is a weirdly bright floral with sticky, fruity tulip. There are certain themes in Bertrand’s work. He has an affinity with resinous notes. Lila: Can you tell us a bit about Bertrand’s background? Nick: He grew up in Auvergne in the South of France where the narcissus fields inspired him to become a perfumer. 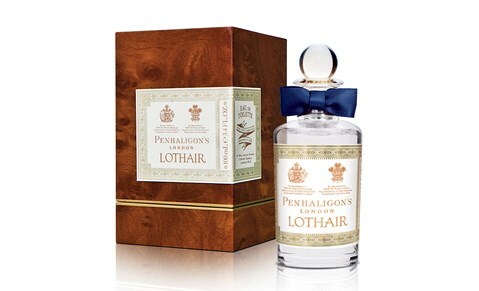 Recently, he made Ostara for Penhaligon’s which is based on narcissus. 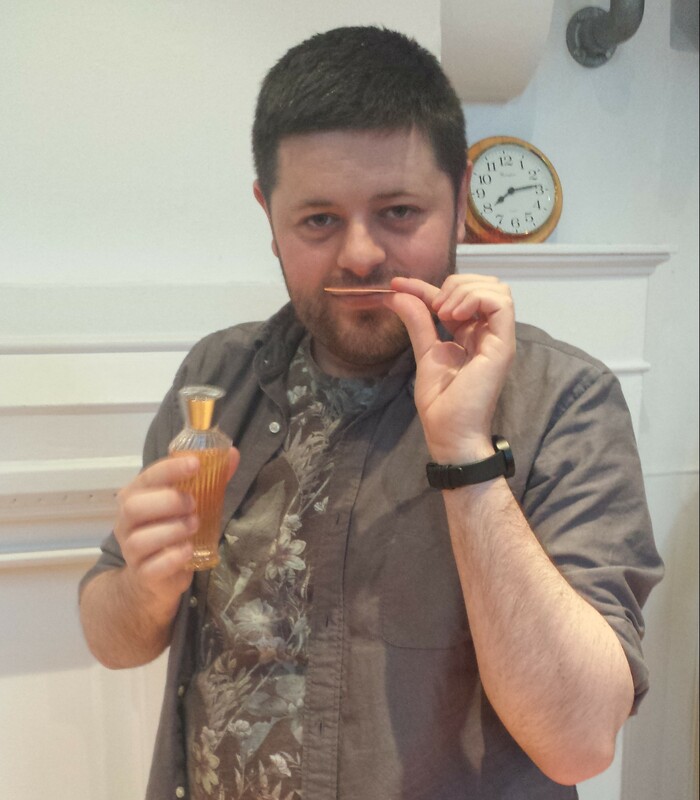 He’s been kind of the in-house perfumer at L’Artisan/Penhaligon’s since 2008 but is free to work with other brands. It feels like every niche house has at least one fragrance by Bertrand. Signature becomes really petal-ly on the skin over time, quite jasmine-like. It’s quite interesting for a mainstream fragrance. Lila: It’s actually rather nice. Nick: Bertrand is so unique because he can create amazingly atmospheric fragrances based on a particular place or memory. Sartorial was released in 2010 and even as someone who is not a fan of the traditional fougère, I can appreciate that this is amazing. A fougère is a fern based fragrance which goes back to 1882’s Fougére Royale (Houbigant). Bertrand based Sartorial on his visit to a tailor’s workroom. It’s a fougère but there’s also something tweedy and leathery about it. There are so many elements including chalk, woodiness (for the tables they cut the patterns on) and a metallic note but it’s still smooth. Audience member: I think it’s one of his Top 3. Nick: It’s very popular with Japanese women for some reason. Audience member: It would work well on a man who wears a suit. Lila: Aedes de Venustas is a baroque perfume shop in New York. It’s a temple of loveliness. Nick: Bertrand is amazing at incense. You probably know he did the Incense Series for Comme des Garcons. Copal Azur shows just what he can do with incense. It’s so multi-faceted. It has all the resins, greenness and an orange quality you notice when you drink frankincense. It’s a dry, austere incense, not smoky. Lila: I think it’s fabulous. Audience member: I can smell bay leaf. Nick: Copal Azur is a really wearable incense. Bertrand likes to use an accord in a lot of fragrances made up of pink peppercorn, vetiver, cardamom and incense. It gives them a lot of space. 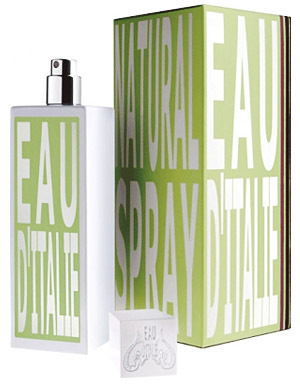 Nick: Eau d’Italie is one of my favourite brands and I think it’s underappreciated. This is the original fragrance launched in 2005 which was commissioned by the owners of a luxury hotel on the cliffs in Positano. It was intended to capture the smell of Positano so it’s breezy with a bright freshness. There’s incense from the church, greenery and terracotta from the cliffs and a mineral facet. It’s incredible on skin. Nick: Bertrand loves to travel and created a whole range of scents for L’Artisan based on travel. 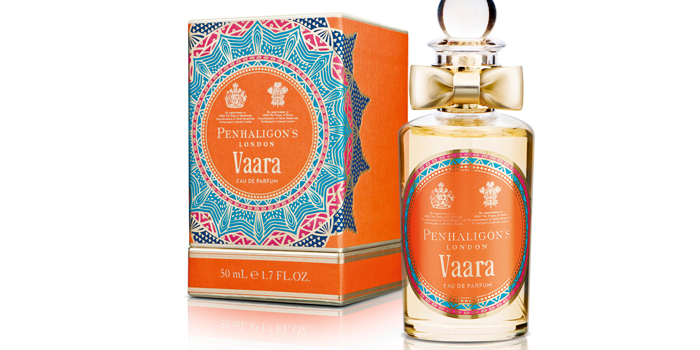 Vaara for Penhaligon’s was created to replicate the aromas at the Maharaja’s summer palace in Jodhpur. It’s a stunning fruity rose with a mineral facet underneath. Lila: It’s lovely and pretty. Nick: Bertrand also explored India with Neela Vermeire. She went to him because she knew he had an attachment to India. Trayee has dark spices, dry incense and resins. Lila: There’s also a basmati rice note. Audience member: It’s a bit metallic. Nick: Bertrand likes a mineral note. Nick: Traversée du Bosphore is another one of Bertrand’s travelogues. It’s based on Istanbul and has apple, Turkish Delight, tulip and leather. Lila: I really want to love it but the metallic note puts me off. Nick: Continuing the travel theme we are going further east to Shanghai. I would not be true to the narcissistic way I see myself if I didn’t include this. Lothair was my idea. We had to come up with names for a Trades Route collection and I had a model of a tea clipper, The Cutty Sark, in my living room when growing up. So Lothair captures the breeze, the waves and the tea. It’s fresh and salty. There’s a bright herbal accord which adds to the breezy element. A minty green adds a fig accord. There’s lots of cardamom, incense, grapefruit and juniper. It’s massively popular. I’m thrilled. Audience member: It’s airy and ozonic. Nick: But not aquatic, which is hard to do. Nick: This is the men’s version, the women’s was done by someone else. It’s obviously made of good materials. Lila: It’s gorgeous. 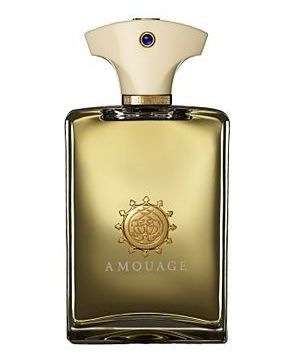 I like everything from Amouage. Nick: It’s rich, animal incense. Audience member: It’s quite old school. Audience member: It’s very traditional. It reminds me of my dad. Lila: It’s not a young man’s fragrance. Nick: I think Dzongkha is Bertrand’s masterpiece. It’s a weird fragrance based on the foothills of the mountains in Bhutan. Dry leather, cool mountain air, cut green capsicums, iris, incense and lychee. It’s the most atmospheric and evocative fragrance he’s ever made. I’ve gone through about 6 bottles and I’m not someone who uses up perfume. Audience member: It’s a nose-gasm. It evolves, it lasts. Nick: It’s dry, crisp, cold, leathery and earthy with a mineral facet. Lila: It smells better on people. Audience member: It’s very iris-y. Lila: Yes, a bready iris. That rounded off the guided sniff, after which we were free to further explore these and other fragrances created by Duchaufour. 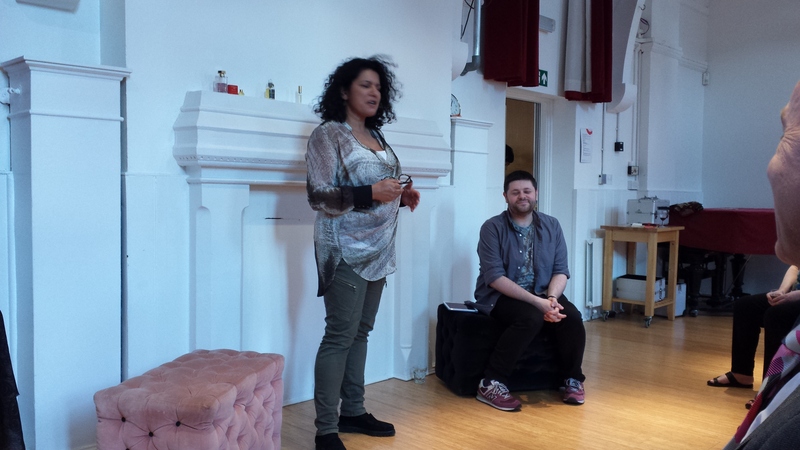 Many thanks to Nick (who is always a fun and fabulous speaker) and to Lila for putting the event together. Also special thanks to Basenotes and Poshpac who are two of the sponsors that make these fab evenings possible. How do you get on with Bertrand Duchaufour’s fragrances? Do you have any in your collection? Please tell me in the comments. This entry was posted in By Tara and tagged Bertrand Duchaufour, Fragrance, Perfume, Perfume Lovers London. Bookmark the permalink. I’m not a fan of vaara though. I liked the opening a lot but the dry down was not as exciting for me. I better try the tuberose, I love all floral fragrances as long as they are not too sweet and overtly feminine. I know what you mean about Vaara. It’s lovely but the opening is the best part. Don’t mention the Christmas swap! Hi Tara. I’m so glad that you report on these evenings. I’m very jealous of the London crowd for having these events and am dying to get to one if I can manage it sometime this year. 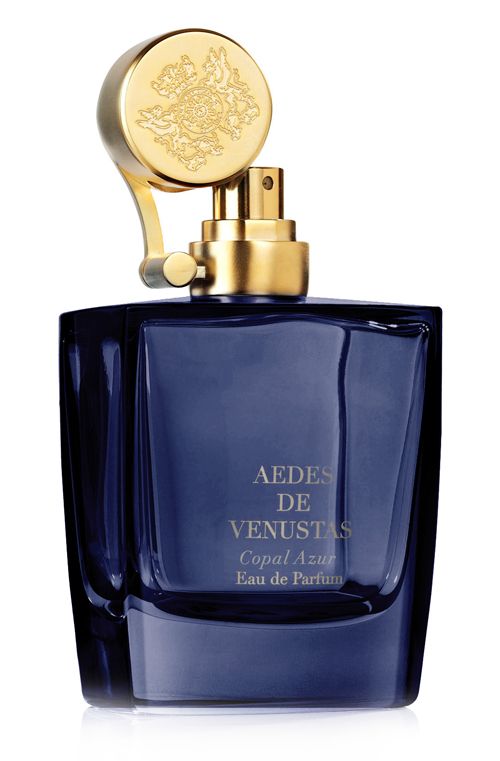 I do like Copal Azur and have one of the travel sprays and I adore Vanille Absoluement that I picked up for a bargain at Printemps. 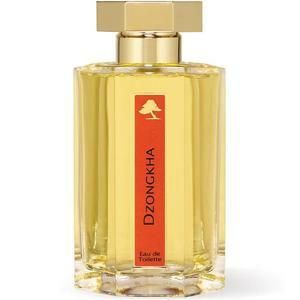 Dzongha and is on my to buy list. Love all the NVC perfumes but alas I only have samples. I miss Violet from The Different Company is gorgeous. This is the first perfume with violet that I adore – it’s a beautiful leather with osmanthus in there too. He makes so many perfumes and there are quite a few on this list that I haven’t tried and need to. Generally I get along with BD perfumes – although was surprised that he thinks his best work is Nuit de Tubereuse. There’s a woody bonfire going on in there for me in the base – maybe I’ll try it again. I know a lot of people like this one. Oh you must come along if you can. The events are a lot of fun and Lila organises them so well. You’ve really got me lemming I miss Violet. It sounds fantastic. I’ll have to find out where it’s stocked. I was also surprised BD thought Nuit de Tubereuse is his best work. Normally perfumers prefer works that are more unusual and less commercially successful. Frapin’s 1697 is also a Duchaufour creation that I really like. I know 1697 is a big fave of B’s. Hopefully BD sorted out the issue with the rum. Nick is right when he says there’s hardly a niche brand that doesn’t have something by him. It was not rum but davana essence that Tara is remembering, the early batches of the perfume fell apart. Brooke, Oflactoria may have different info but BD mentioned the rum absolute was unstable when I met him in 2012. He was working on a solution then so I’m sure your sample from last year is fine. Wonderful write up of events as always. I really admire Duchaufour’s work, And he has made many perfumes I like, and Tralala I like A LOT, were it not so expensive and only 100ml bottles I’d probably own it, but apart from that there’s a certain thing about his style which just sits a bit weird with me. I think of it as something edgy, like a change in counts on the wrong bar 😉 but I think it’s very much just a personal thing for me, and it doesn’t change that I can see what an amazing perfumer he is. I feel exactly the same Asali. His cold/metallic/mineral signature is a deal breaker for me if it’s prominent. It was funny, at the end of the guided sniff someone suggested holding up all the paper strips at once and you could really smell that same accord coming through. 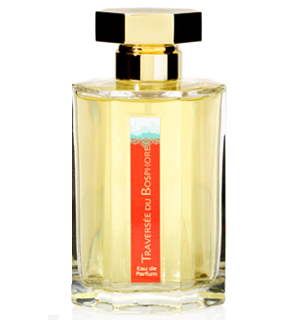 Luckily it doesn’t bother in some perfumes like Seville a L’Aube and Traversee du Bosphore. I love the reports on your evenings. BD is interesting if not always fpr me. I enjoy the NVC collection. And you know what I actually love? L’Artisan Patchouli Patch. Hugs. I didn’t know you loved Patchouli Patch, though I do know you’re a patch fan. I’ll have to check it out. I think BD has done some of his very best work for NVC. Great write up, Tara. BD’s perfumes are a little bit hit, and a lot of miss for me. I can admire them on others but the mineral/metallic accords in combination with the florals often turn really weird and unpleasant on my skin. The NV line is a no go, but most of the Eau d’Itialies and some of the L’Artisans work. The first Aedes de Venustas wih the rhubarb and apple notes and Baume du Doge are the only ones I would consider buying so far, but I have bought both Sartorial and Avignon for my husband. I was disappointed that Dzongka didn’t do anything for me, because Bhutan is very very high on my travel list for the next years. Thanks, Sabine. I thought it was interesting when Nick said that BD perfumes really react differently on different people. On me, he thought Dzongkha was “lychee lemonade” and it really was fizzy lychees! I always wanted to fall in love with it and nearly bought it unsniffed but as Nick said, it is a weird one. I actually like many of Bertrand’s perfumes but strangely I hated Nuit de Tubereuse on first sniff. In the meantime it has grown on me but still not among my favorite tuberoses. I bought it and then passed it on. There is a weird accord in there. luliana, these events are absolutely open to the public. Just go to the Perfume Lovers London Meet up page and join up. There is an event every month. It is really sad that Amaranthine is being discontinued. It doesn’t work for me but I think it is a really original composition. Thank you so much – I am signing up! As for Amaranthine, I hope they will “see the light” and bring it back by the time my bottle ends :-). Great! Come and say Hi when you go an event. If we get married I can have a UK passport and live over there. Then we can go to these evenings together, hang out, travel the world and laugh till our sides hurt. Cummon! You’ve had worse offers. I always love the roundups you do, they have exactly enough info and interaction.Can’t wait for JANUARY! Nice to hear you think I get the balance right with the write-ups. Can’t wait to cover yours! Jin would walk me up the aisle. Nick made it a fun one, Sandra. Nuit de Tubereuse is a funny one. On the surface it seems accessible but you’re right, it is quite challenging. BD’s work for Neela has been outstanding. You get the impression that’s more of a labour of love for him than a lot of his work. LJG, it’s too bad he’s become rather indiscriminate about the work he takes on. How can he have time to investigate who he’s working for and put his best into the compositions when he’s doing on 20 fragrances at once? Thank you for the report, Tara. I always enjoy reading them. I hope to visit one of these meetings in future. Out of 33 BD’s perfumes in my database I love one – Bombay Bling! and like another five or six – Trayee, Enchanted Forest, Traversee du Bosphore, Seville a l’aube and Tralala… Hm… It’s interesting, with the exception of Trayee all other are sweet-fruity-gourmand-y… But 6 out of 33 isn’t too impressive. And I’m also not that thrilled with the number of perfumes he produces every year: I just do not believe that one person can create one masterpiece a month (or even more). And I still wish he hadn’t worked for the dictator’s daughter…. When you come to London try and time your visit towards the end of the month so you can come along. It will be fab. Totally agree with you on his rate of output. it’s a shame because you’d think he’d now be in a position to pick and choose the people he works with. I also tend to prefer his sweet-fruity-gourmandy fragrances and I think it’s because that trademark mineral accord is less noticeable in those than his drier compositions. Great write up of an excellent tiptoe through the BD back catalogue! I have you to thank for re-introducing me to Traversee du Bosphore, which I didn’t care for initially due to a non-specific heavy fuzziness – like it a lot now. Your post has reminded me of Eau d’Italie which I think I really liked and must get a sample of again. Also curious to revisit Nuit de Tubereuse, which did this weird herbal bubblegum thing on me when I tested it. But given my newfound interesting to peruse (interest in tuberose!) it is well worth a rematch. Oh, and LOVE Tralala. Nice to hear you’re a TdB convert, V. I seem to have a bit of an Eau d’Italie block. One of those brands that doesn’t really appeal. Maybe it’s the luxury hotel link. Silly really. I’ll be interested to hear how that NdT rematch goes. I admire Tralala a lot but that weird boozy/aldehyde/metallic opening was a deal-breaker for me. One of my favourities from BD is Fusion sacrée lui. Nice boozy. Majda Bekkali perfumes. Thanks for sharing one of your faves, Walter. I don’t do well with boozy notes but I think BD has done some particularly good fragrances with them.